The 2019 Mobile Internet Phenomena Report from Sandvine is here! Did you know that Netflix is almost 15% of all internet downstream traffic worldwide? Or that Google services consume over 40% of all connections in Asia? 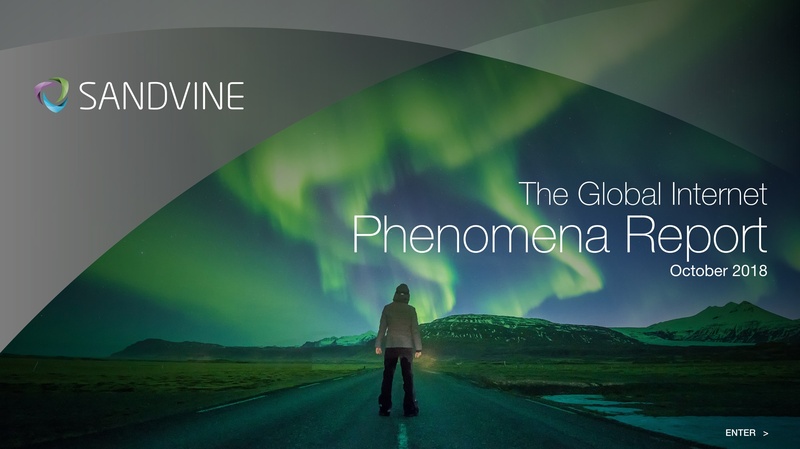 Explore these data points and many more in Sandvine’s 2018 Global Internet Phenomena. The 2018 Mobile Internet Phenomena Report from Sandvine is here! Sandvine's solutions make networks more efficient, enable service differentiation, rationalize disparate data sources, and increase profit margins. Go beyond measuring network-level throughput to deliver experiential network intelligence. Broadband subscribers on operator and enterprise networks around the world enjoy a better broadband experience with the help of Sandvine solutions. You can watch now our recorded webinars and sign up for future ones by clicking on the "Webinars" tab. North America's Largest 5G Event, bringing together both cable and wireless carriers.